Have a disability, but want to sail? - GSC can help! - a range of specialist equipment; including access dinghies, several larger boats and a hoist. - Trained safety boat crews and instructors. - Experience in making sailing accessible to all. - A well-equipped wheelchair accessible clubhouse. 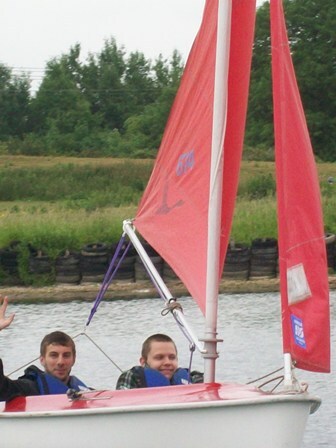 GSC has the equipment, training, and experience to give safe and enjoyable sailing to people with a range of disabilities including; visual, hearing and physical as well as learning disabilities. Dedicated Sailability sessions run from May to September and free taster sessions can be arranged by request, contact sailability@girtonsc.com. £60 (+ £15 joining fee for the first year) (There is a discount for late joiners). Alternatively just pay £10 day membership for each session you come to. To find out more or to arrange a taster session contact; Brian Rennie - sailability@girtonsc.com, telephone 01949 851245.